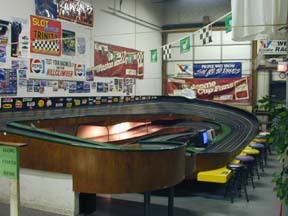 The Race Place also has a satellite raceway at Collingwood Flea Market down the road with a smaller hillclimb and a true tri-oval. Last edited by Scaleracing; 08-01-2012, 10:08 AM. I am proud to announce at The Race Place will be hosting the Scaleracing 6th Annual National Finals Sept 7th - 9th. More info will be posted on the Front page of SCI today and here in the Forums on SCI. http://www.slotcarillustrated.com/po...ad.php?t=63408. Last edited by Scaleracing; 08-03-2012, 05:08 PM.